Why You Shouldn’t do Static Stretches Before You Workout! At CD Fitness, we always take our clients through a great 8-10 minute warm up at the start of the session whether that be a walk in to a run, cycle or a row. You may notice that we never include any static stretching in our warmups. Here’s why! 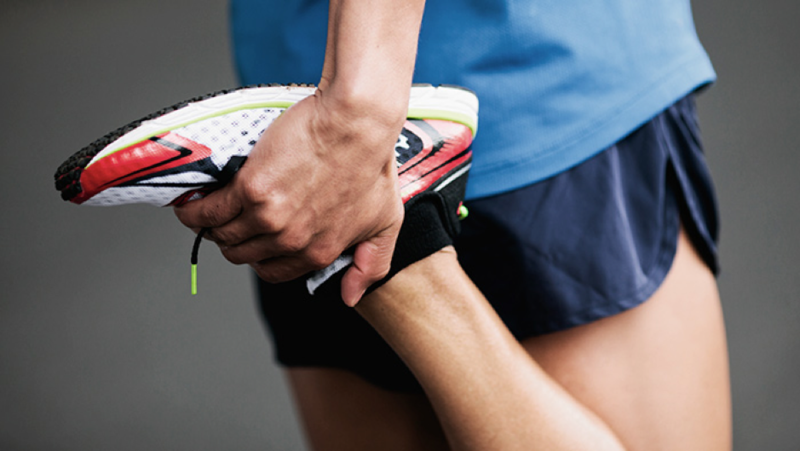 If you’re like most people, you probably have a habit of stretching before your workout. And it seems like no big deal to do a little pre-workout stretching, right? After all, it’s important to maintain a general level of flexibility, so why not add it in before a workout? Static stretching means that you’re stretching the muscles while your body is at rest, as in a typical hamstring, calf, or shoulder stretch. This type of stretching is a great way to stay mobile and flexible. Yet there’s more and more evidence that static stretching before a workout not only doesn’t offer any actual benefits, it can actually do more harm than good. It can reduce performance – Pre-workout static stretching can actually have a negative effect on force production, reaction time and running speed. It can lead to injuries – When you stretch too much before a workout with non-warmed up muscles, you’re making it more likely that not only will your muscles endure damage during the workout, but also during the stretching, making it more likely—rather than less—that you’ll end up getting injured that day. Timing matters – We’re not saying that you shouldn’t stretch at all because it’s actually very good for you, just not BEFORE a workout. So, instead of stretching before a workout why not stretch AFTER. Static stretching after a workout will provide you with a lot more benefits than before a workout! Instead of static stretching before a workout try some dynamic stretches. A dynamic stretch is stretching your muscles while moving. For example, front to back leg swings, side to side leg swings, arm circles, lunges with a twist, etc. Doing dynamic stretches are great for pre-workout warmup as they get your blood flowing around your muscles quicker, they get you breathing heavier and they also stretch your muscles out at the same time. Every warmup should start at a very low intensity and gradually build up so that you can feel yourself starting to get a lot warmer and maybe a bit sweaty. For example, if you like to warm up on the treadmill, don’t start with a hard run straight away. Instead, start with a brisk walk for a couple of minutes maybe with a slight incline! This applies for any piece of cardio kit!